Discussion on the Arlington 425 project will be continued to the Arlington Heights Plan Commission on Wednesday, April 10 at 7:30 p.m. in the Board Room, located on the third floor of Village Hall, 33 S. Arlington Heights Road. After deliberation at the March 27th Plan Commission meeting, it was decided to continue the discussion to allow the developer to provide more information regarding parking. 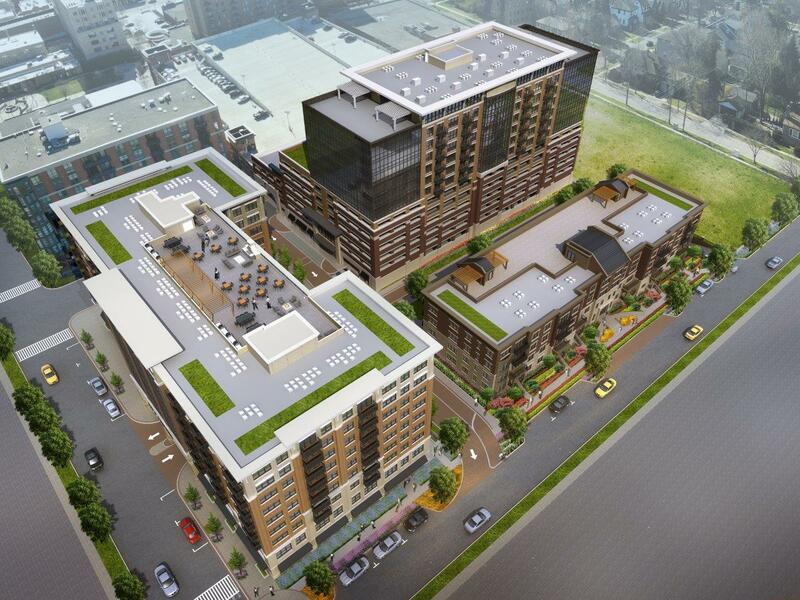 This proposed project for the Downtown is located on the northern three-quarters of Block 425 in the Downtown. Block 425 is the only vacant block of land in the Downtown on Campbell Street, between Highland Avenue and Chestnut Avenue. A meeting agenda and materials for the Plan Commission meeting will be placed on the Agendas & Minutes page on the Friday afternoon prior to the meeting. The next step will be for the petitioner to appear before the Village Board for their consideration.